With spring and break-up just around the corner (please, please, please!) one thing we often forget until too late are family heirlooms, photos, records, manuscripts and so on. Heritage Emergency National Task Force special day is aimed at more formal institutions, but every home or tribal office would benefit from considering emergency preparedness for tangible cultural resources. April is also Alaska Archaeology Month. This year’s theme is archaeology associated with travel along the National Historic Iditarod Trail. * If you have a disaster plan, dust it off and bring it up to date. * If you don’t have a plan, make a timeline for developing one. * Get to know your local firefighters and police. Invite them to tour your institution and give pointers on safety and preparedness. A poster outlining tips for working with emergency responders ( www.heritagepreservation.org/catalog/) is available from the Task Force. * Identify the three biggest risks to your collection or building (such as leaking water pipe, heavy snow, or power failure) and outline steps to mitigate them. * Conduct a building evacuation drill and evaluate the results. * Update your staff contact information and create a wallet-size version of your emergency contact roster. See the Pocket Response PlanTM (PRePTM) at www.statearchivists.org/prepare/framework/prep.htm. * Eliminate hazards such as storage in hallways, blocked fire exits, or improper storage of paints or solvents. * Provide staff with easily accessible disaster response information, such as www.heritageemergency.org. * Join forces with nearby institutions and agree to assist each other in case of a disaster. * Establish a method of identifying objects that are most important to your mission, irreplaceable, or most fragile, making evacuation simpler when disaster hits. 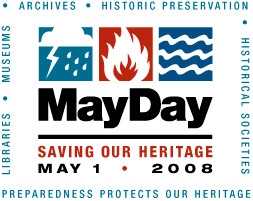 Heritage Preservation is offering its popular Field Guide to Emergency Response and Emergency Response and Salvage Wheel at special MayDay sale prices from April 15 to May 31. Mass disaster training is scheduled for October 25 and 26, 2007 (Thursday and Friday) at the Cultural Center. I don’t have any notices about it but I did see a flyer at the post office and two months ago there was a brief mention on KYUK radio. The training may be similar to the state training last year, which also included NIMS (National Incident Management System) which is very good training. I think the training is provided only by the state and not by the hub City of Bethel nor by the tribal governments. Another mass vaccination clinic is planned for November 3, 2007. Contact Public Health in Bethel for information. There is plenty of vaccine this year and the shots are available for $25 again this year, unless you go to the mass disaster clinic get one for free. Faith-based and Community organizations are the foundation of local, regional, and national efforts in emergencies and disasters. They provide vast resources including donations, equipment, materials, and volunteers. These contributions are critical and life saving. FBCO Emergency Response Network gives emergency management the ability to find these organizations and their resources in a more efficient and effective manner than ever before. When a disaster strikes, your community will reach out for resources in other counties and states. FBCO Emergency Response Network is the only nationwide directory of faith-based and community resources for emergencies and disasters. FBCO Emergency Response Network is organizing as a 501c3. We are not an extension of a denomination or service organization. Our only mission is to assist organizations and agencies in this sector through technology. We selected this technology platform because it is proven, the technology is shared, the other initiatives using it are growing rapidly, and we hope one day to partner with these other initiatives to mutually extend a continuum of care and improve outcomes. http://www.gulfcoastnews.com/Katrina/SavedUpdates/GCNnewsKatrinaDatabase.htm and community info links that I found. Since the day after Hurricane Katrina, GCN’s Survivor-Connector Database has been online helping to locate survivors from the hurricane find loved ones and friends. Now, after nearly four months of operation, the database continues to be used and the number of listings is still growing. GCN was the first to establish such a database as the need became immediately apparent after the Hurricane. There are other lists, but many are now offline or are difficult to find. GCN has kept the database up as people are still finding it helpful…. GCN will keep the database active until the number of entries ceases. At this time, there are over 76,000 records that can be searched. GCN will be doing an analysis of the data and will report the findings in a future report. Everyone knows we had a little snow, we got 3 1/2 ft. of the white stuff. When we had that warm spell the snow settled down to 1 ft. in some places. In the woods it was about 3 ft. of snow. People in the delta have to be careful when traveling around. As everyone can see, the ice is full of sand and it deteriorates the ice fast. Black and yellow ice are bad spots. When we run into these colors in the ice it means danger. When you’re out in the country doing subsistence needs, be careful and keep your eyes open for open water. Know where all the open holes are, right now there is thin ice. Keep away from them and also keep away from beaver houses. Always let someone know where you are traveling to. Bring survival gear and a handheld radio in case of an emergency. With your handheld radio you will have good communication with flying airplanes around your area. I know everyone is out ice fishing, also the birds should be showing up all over the YK delta and everyone is taking the spirit of the wind and getting nice and brown, looking like real Alaskan natives. I wish everyone a safe spring gathering for our traditional native foods wherever we are. Us natives always have something to do, like going out fishing, riding, bird hunting, chopping wood, lighting up the sauna, and walking out enjoying the long spring days and breathing that good fresh air. 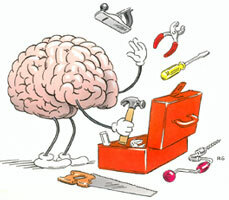 The Canadians have a very useful site, especially for the workplace or business preparedness. I urge everyone to investigate their tools. Can your business answer these? Can your employees? Can the residents of your tribal government or municipality? Let me know what you have come up with and I can share it with others. Their hand sanitizer poster is quite good (in pdf file, right click image to download pdf file). Every city office, grocery store, post office, school building, health clinic, rippy palace, bingo hall, Lions Clubhouse, etc. should have the poster next to a dispenser at the entrance/exit. See also, ==> Hands washing, sanitizers Maybe get a | sleeve sneeze | poster, too. via The Coming Influenza Pandemic?